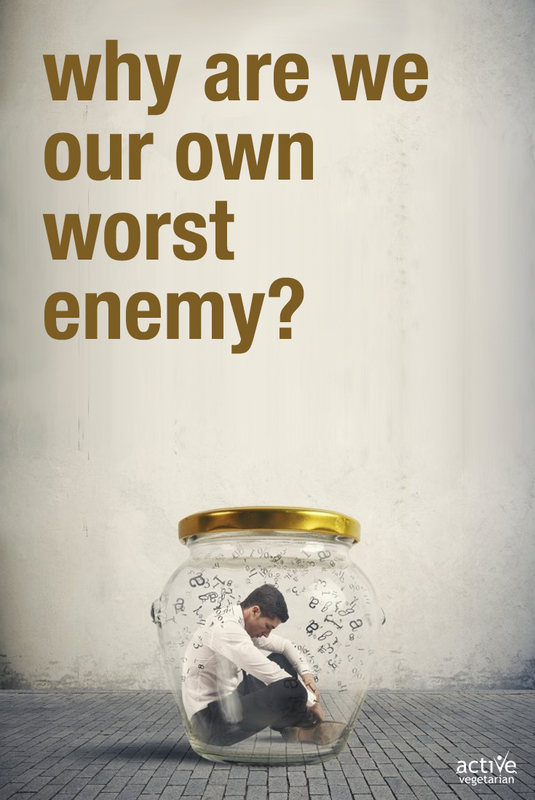 » Lifestyle » Why Are We Our Own Worst Enemy? Why are we always so concerned about what others think of us or at least what we think they “might” think of us? Doesn’t this sound ridiculous just hearing it!? Why do we spend so much time and energy on such useless thoughts? Better question; Why do we let our thoughts control us? I would be lying if I said I have never had a negative thought continue to duplicate until it has spun out of control. It is crazy when you can actually start to observe this happening not just within yourself but in others as well. This morning Zuz and I were discussing the book she is currently reading, a well known one too 🙂 – Eckhart Tolles’ A New Earth. She was explaining to me the part about “pain body” and what it is. So what is “pain body”? Pain body is essentially old pain that we have accumulated. Its negative emotions that were not faced, accepted or let go of. We carry it with us. It can even root back to something that happened in our childhood. In most people the Pain Body is dormant for some time and then awakens to assert itself and replenish its energies. And it derives its energy from pain. Pain is its food. So if you are not absolutely present, it takes over your mind and feeds on negative thinking as well as negative experiences. This is when the uncontrollable spiral begins. (The landmines explode). This can be between yourself and others or even a battle within your own mind. For instance we worry about something and then we worry that we are worrying… and so on. Or we are frustrated with ourselves that we made a mistake and that turns into, “not being good enough”, “I can’t do anything right!”. In which we just want to give up! Often we also at this point start to compare ourselves to others and judge ourselves. How can we stop it?, better yet prevent it? Learn to cut the link between pain body and our thought process. It cannot feed on positive thoughts. So when the pain-body no longer runs the internal dialogue of our compulsive thinking, we become aware of it directly. We observe it, stop it and learn to replace it with positivity. When you are observing it in others or encounter it directly with others – simply be present, and don’t feed into it. You will see that it will dissolve, when there is nothing to feed from. We create our own reality through our thinking and our emotional patterns. Until we change them, the same problems are likely to happen again and again, including our tendency to self-sabotage to keep those patterns in place. This is how we get “stuck”. Become more aware of your thoughts and when negative ones arise, replace it with positive ones. It will take time but trust me, your thoughts are more powerful than you think. Not only watch your thoughts but how you project them – its sad how media like FaceBook has opened that opportunity for us to have another method of sharing our inner fears, regrets, sadness, failures and well negativity. Like your mom always said, even apply it to your thoughts “If you don’t have anything nice to say, don’t say anything at all”.